Ant feeding interactions (i.e., trophallaxis events) are thought to regulate the flow of nutrients and disease within a colony. Consequently, there is great interest in learning which environmental and behavioral factors drive ant trophallaxis. In this paper, we analyze ant trophallaxis behavior in a colony of 73 carpenter ants, observed at 1-s intervals over a period of 4 h. The data represent repeated observations from a dynamic contact network; however, traditional statistical analyses of network models are ill-suited for data observed at such high temporal resolution. We present a model for high-resolution longitudinal network data, where the network is assumed to be a time inhomogeneous, continuous-time Markov chain, with transition rates modeled as a function of time-varying individual and pairwise biological covariates. In particular, the high temporal resolution of the data leads to a tractable likelihood function, and likelihood-based inference procedures are utilized to explain which biological factors drive contact. Our results reveal how differences in ant social castes and individual behaviors, such as ant speed and activity levels, influence patterns of ant trophallaxis in the colony. Supplementary materials accompanying this paper appear online. Supplementary materials for this article are available at https://doi.org/10.1007/s13253-019-00363-5. Funding was provided by NSF EEID 1414296 and NIH GM 116927-01. We are grateful to Andreas Modlmeier and the many undergraduates in the Hughes Lab who tracked the ants. We thank Roland Langrock, Christen H. Fleming, and one anonymous reviewer for their helpful suggestions. Bansal, S., Grenfell, B. T. and Meyers, L. A. (2007), When individual behaviour matters: Homogeneous and network models in epidemiology. Journal of the Royal Society Interface, 4(16), 879–891. ISSN 17425689. https://doi.org/10.1098/rsif.2007.1100. Eames, K., Bansal, S., Frost, S. and Riley, S. (2014), Six challenges in measuring contact networks for use in modelling. Epidemics, 10, 72–77. ISSN 18780067. https://doi.org/10.1016/j.epidem.2014.08.006. Gordon, D. M. (2014), The ecology of collective behavior. PLoS Biology, 12(3), 1–4. ISSN 15457885. https://doi.org/10.1371/journal.pbio.1001805. Greenwald, E., Segre, E. and Feinerman, O. (2015), Ant trophallactic networks: Simultaneous measurement of interaction patterns and food dissemination. Scientific Reports, 5(July):1–11. ISSN 20452322. https://doi.org/10.1038/srep12496. Greenwald, E., Baltiansky, L. and Feinerman, O. (2018), Individual crop loads provide local control for collective food intake in ant colonies. eLife, 7, 1–22. https://doi.org/10.7554/eLife.31730. Groendyke, C., Welch, D. and Hunter, D. R. (2011), Bayesian inference for contact networks given epidemic data. Scandinavian Journal of Statistics, 38(3), 600–616. ISSN 03036898. https://doi.org/10.1111/j.1467-9469.2010.00721.x. Hamilton, C., Lejeune, B. T. and Rosengaus, R. B. (2011), Trophallaxis and prophylaxis: Social immunity in the carpenter ant Camponotus pennsylvanicus. Biology Letters, 7(1), 89–92. ISSN 1744957X. https://doi.org/10.1098/rsbl.2010.0466. Krivitsky, P. N. and Handcock, M. S. (2014), A separable model for dynamic networks. Journal of the Royal Statistical Society. Series B: Statistical Methodology, 76(1), 29–46. ISSN 13697412. https://doi.org/10.1111/rssb.12014. Pinter-Wollman, N., Wollman, R., Guetz, A., Holmes, S. and Gordon, D. M. (2011), The effect of individual variation on the structure and function of interaction networks in harvester ants. Journal of The Royal Society Interface, 8(64), 1562–1573. ISSN 1742-5689. https://doi.org/10.1098/rsif.2011.0059. Pinter-Wollman, N., Bala, A., Merrell, A., Queirolo, J., Stumpe, M. C., Holmes, S. and Gordon, D. M. (2013), Harvester ants use interactions to regulate forager activation and availability. Animal Behaviour, 86(1), 197–207. ISSN 00033472. https://doi.org/10.1016/j.anbehav.2013.05.012. Quevillon, L. E., Hanks, E. M., Bansal, S. and Hughes, D. P. (2015), Social, spatial, and temporal organization in a complex insect society. Scientific Reports, 5, 1–11. ISSN 20452322. https://doi.org/10.1038/srep13393. R Core Team. R: A Language and Environment for Statistical Computing. R Foundation for Statistical Computing, Vienna, Austria, 2017. URL https://www.R-project.org/. Russell, J. C., Hanks, E. M., Modlmeier, A. P. and Hughes, D. P. (2017), Modeling collective animal movement through interactions in behavioral states. 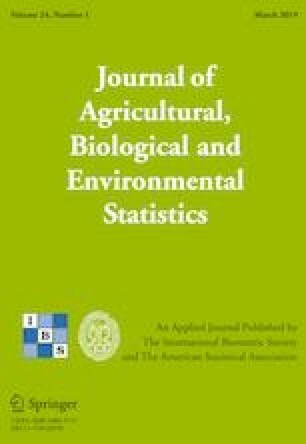 Journal of Agricultural, Biological, and Environmental Statistics, 22(3), 313–334. ISSN 15372693. https://doi.org/10.1007/s13253-017-0296-3. Salathe, M., Kazandjieva, M., Lee, J. W., Levis, P., Feldman, M. W. and Jones, J. H. (2010), A high-resolution human contact network for infectious disease transmission. Proceedings of the National Academy of Sciences, 107(51), 22020–22025. ISSN 0027-8424. https://doi.org/10.1073/pnas.1009094108. Sendova-Franks, A. B., Hayward, R. K., Wulf, B., Klimek, T., James, R., Planqué, R., Britton, N. F. and Franks, N. R. (2010), Emergency networking: famine relief in ant colonies. Animal Behaviour, 79(2), 473–485. ISSN 00033472. https://doi.org/10.1016/j.anbehav.2009.11.035.